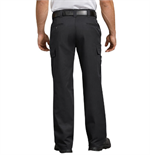 Dickie's Industrial Flex Comfort Waist EMT Pants are a tough pant that will stand the test of time. 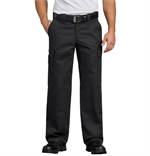 Sitting slightly below the waist, the extra room in the seat and thigh will keep you comfortable, while the StayDark® technology keeps them from fading. The heroic features in this EMT pant is a flex fabric made of twill stretch fabric, so you’ll be able to move while keeping it durable with polyester and soft cotton. 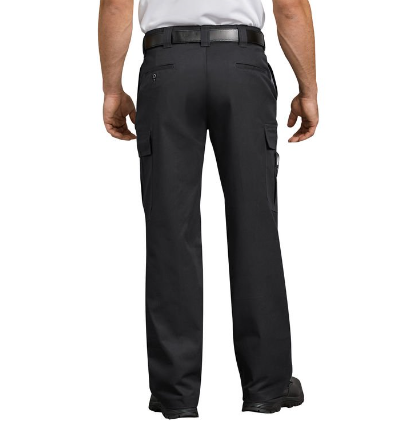 The triple-grip waistband prevents gapping, while the double-reinforced knee ensures there won’t be any blowouts. Last, but not least, the full-size cargo pockets and top pocket provide plenty of space for life-saving tools.